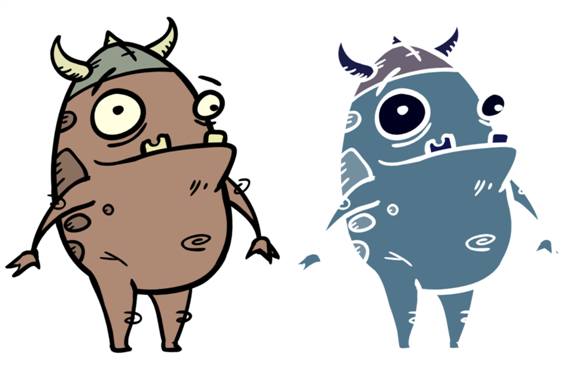 Use the Negate effect to invert the colour and/or alpha values in the Colour Art and Line Art of an image. The Negate module subtracts the original value of each channel (RGB or A) from the maximum value of that channel (255 for 8-bit channels) to produce the negative image. 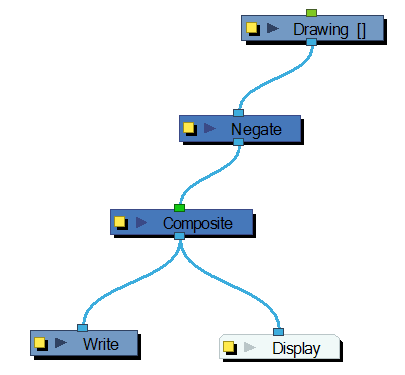 Use the Negate editor to select the colour and/or alpha values to invert. • Negate Colour: Inverts the values of the colour channels. • Negate Alpha: Inverts the transparency value (alpha channel). 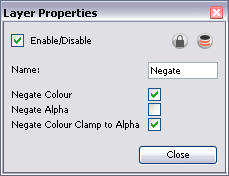 • Negate Colour Clamp to Alpha: Limits the negated area to the alpha channel.